No design is complete without the proper container! 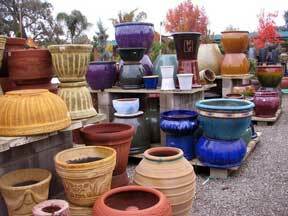 We choose a container complimentary to the plant and the setting from a large variety of planters and containers. These include natural baskets, ceramics, metal and wood planter boxes, available from a select group of quality vendors. Specialty Containers will be used for unique maintenance or site requirements. Custom Containers can also be built to fulfill client requests.